Tell us about your role and journey into Marketing Technology. What inspired you to start Vestorly? In 2010, I was working in financial services at J.P. Morgan and my future business partner had recently left Fisher Investments. In the swirl following the financial crisis, one of the fastest growing sectors in financial services was the surge in new RIAs as brokers were parting ways with traditional established wirehouses like Morgan Stanley and Merrill Lynch. With all of these newly independent financial advisors out on their own, they suddenly felt the pinch of not having a brand name on their business cards, and all of the marketing and referral power that came with that. My business partner and I saw an opportunity and took our experience in the industry and started a marketing company for RIAs called AdvisorLeap. Through AdvisorLeap we learned that RIAs had no content or messaging to engage investors, and they didn’t have the time, resources, technical savvy, or interest to manage very manual marketing software. Our solution was to develop technology that would address these challenges for scale, so we started our next company: Vestorly. How does Vestorly fit into a modern marketing technology stack? Marketers today have to select technology to support their needs across CRMs, ABM, Lead Generation, Marketing Automation, Email Marketing, Event Engagements, Sales Touchpoints… the list goes on. But even with the best martech stack, success often hinges on platform adoption by users and readily available content as fuel to engage customers and reach marketing objectives. Vestorly’s content marketing platform helps enhance and fuel marketers’ technology stacks by providing AI-curated content that is personalized and valuable to audiences across the buyer journey. Vestorly’s technology continually learns about a company’s audience based on engagement data, web visits, and first party data, to make marketing more effective. When marketers integrate Vestorly into their technology stack, we’ve seen lower operating costs due to automated education and engagement, as well as a lot of time saved operationalizing. Vestorly automates communications to clients on a one-to-one personalized level that is impossible to replicate with human touchpoints. How does your latest integration with Hootsuite benefit marketing teams? What are the core technologies driving this integration? Vestorly works like a Pandora for articles, news, blogs and your content. Streams of content can be created by topic or theme and are sorted by the probability that the intended audience will engage. Vestorly integrating with Hootsuite means that the barrier to entry for accessing engaging, valuable content has been lowered for Hootsuite’s 18 million customers. The integration of Vestorly into Hootsuite’s robust suite of publishing capabilities automates the surfacing of relevant content for a company’s target audiences. To do this, Vestorly uses natural language processing and machine learning to find and predict content that will best resonate with different audience segments. The platform then continually learns from customer engagement data to improve the content recommendations over time. More relevant content means a better experience for the customer, and better outcomes for the marketer. Since adding Vestorly to Hootsuite, we have seen end-user engagement more than double. How does AI and Content Marketing technology maximize the effectiveness of campaigns at each step of the user’s journey? Let’s face it, customer behavior has changed and engagement is harder than ever. The massive influx of social media technology, media companies, advertising, and content has blurred the landscape for millions of businesses and professional service providers. Today’s consumer expects real-time, personalized, and authentic experiences or they move on. Despite the challenge to engage, customers want to hear from businesses, and those that communicate in a consistent, authentic way are winning. 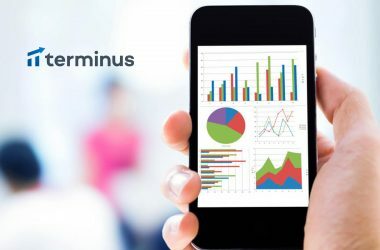 A recent study from The Harris Poll revealed that over 50 percent of internet users want to receive personalized communications from businesses with which they work. But consumers need 7-10 impressions to take any sort of action, and 66 percent of decision makers say that content being relevant to them and their interests is critical for engagement (Nielsen; LinkedIn/Edelman). This means that traditional businesses must think like media companies. They must apply the scalable, data driven, personalized, and automated techniques of modern media platforms to engage and re-engage customers on a one-to-one basis across marketing and sales touchpoints. The media companies have been deploying these strategies to massive success over the years, why can’t your business? Vestorly is leveling the playing field for businesses to compete in today’s evolving internet world with it’s AI content marketing technology. This means using data to provide 1 to 1 touchpoints for each step of the user’s journey by recommending the right content at the right time. Other than using Vestorly (yes, I eat my own dog food), I think Intercom and the G Suite apps are great products. What are your predictions on the most impactful disruptions in AI and Content Curation technology for 2019-2020? Hootsuite + Vestorly, of course. I’m an avid cyclist and train as scientifically as I can. I use TrainingPeaks daily to log my workouts, training stress, and to keep track of an annual plan with my coach. First, create lists each day with prioritization and stick with the prioritization. There are now an incredible number of distractions daily, the best way to combat that: Turn off your internet connection. I catch up on Marginal Revolution each morning and am currently reading “New York 2140”, a novel by Kim Stanley Robinson. One of the most difficult things to do at a startup is to focus. Sometimes, this means saying “no” to large sales opportunities. There is nothing more valuable than time for a startup and that means owning your product roadmap and building the best solution possible for your target market. As a startup founder, it’s incredibly difficult to say no to big names brands working with you, but sometimes the right thing to do is nothing at all. Let’s go with Marc Benioff, I have a tremendous amount of respect for what he’s done. Thank you, Ralph! That was fun and hope to see you back on MarTech Series soon. Ralph Pahlmeyer is Co-founder and CEO at Vestorly, a technology company focused on the digital content marketing space. 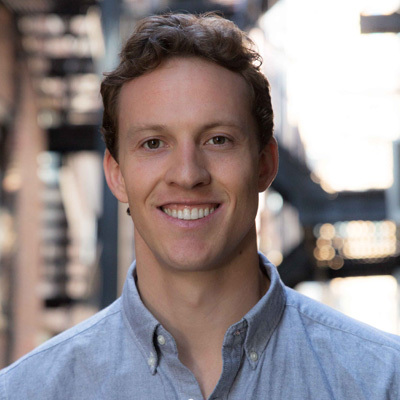 Ralph most recently ran AdvisorLeap, a digital marketing agency for independent financial advisors. Pushing the limits on digital advertising and lead generation campaigns, Ralph and the team discovered volumes of data on the unique ways consumers interact with professional service providers on the web. Ralph began work on Vestorly in 2012 to help wealth management firms improve workflows and make business sense of their digital content. Prior to running AdvisorLeap, Ralph worked for J.P. Morgan in an OTC derivative trading group. Ralph is from the Napa Valley where his family is rooted in the wine industry. Ralph earned his BS in Economics and Astronomy from University of Colorado Boulder, and is an accomplished cyclist, and All-American Rugby player. 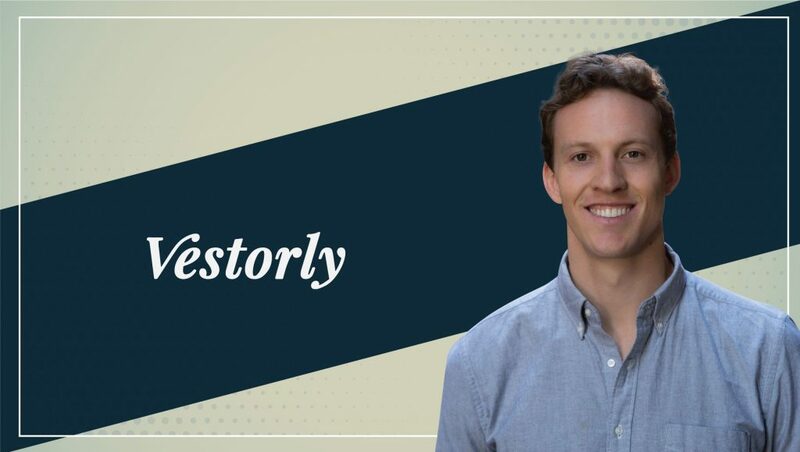 Vestorly is a cognitive content marketing platform. We’re on a mission to enable authentic engagement with AI. The core of Vestorly is an intelligent content engine that absorbs data about you and your contacts. It learns to emulate you and engage your network according to their interests. Using AI, Vestorly matches timely stories with each of your contacts to assemble beautiful, modern and branded email touch points. It then learns from each interaction and grows smarter over time to better emulate you and engage your contacts better. Vestorly reduces your marketing overhead, uncovers unique data in your network, and keeps your relationships engaged with delightful digital experiences.